This delicious casserole is made up of tender green beans and healthy edamame beans, all baked in a creamy mushroom sauce, and topped with crispy fried onions. The addition of edamame beans adds a new twist to this classic dish. With Christmas being around the corner, I thought I would share this recipe with all of you today. I make this dish every year for both my Thanksgiving and Christmas family dinners. 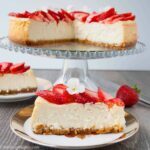 The first time I made it, both my sisters-in-law and mother-in-law requested the recipe, so they could make it for their own family dinners. Now, it’s just a given that I bring this casserole to every holiday meal. 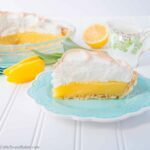 What you’re going to love about this recipe is how easy it is to make. You just toss everything in your baking dish, mix it all together, and bake for 30 minutes. The creamy mushroom sauce in this casserole has a smokey onion flavor to it because most of the fried onions are mixed in, not just on top. The sauce is also thick and cheesy because of the added shredded cheese, so it coats all the delicious veggies. 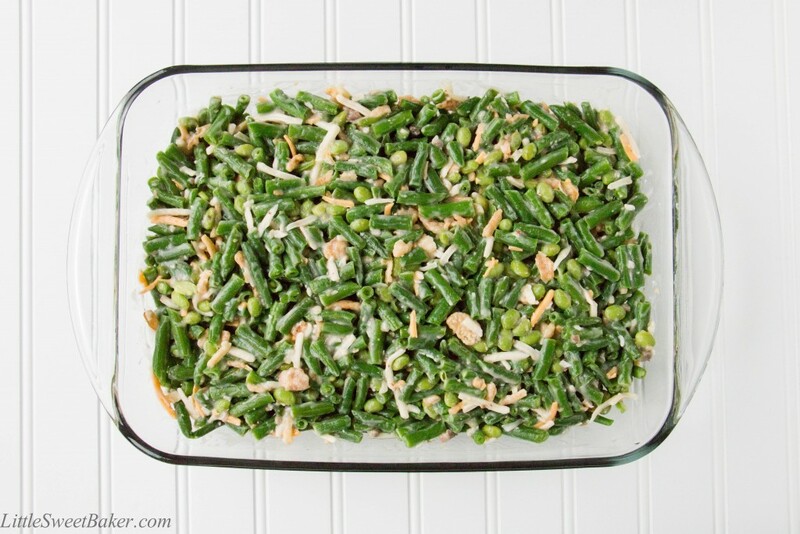 The edamame beans add a nice contrast in texture to the tender green beans and they make this dish healthier than your standalone green bean casserole. 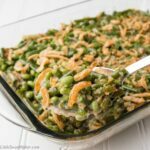 This edamame green bean casserole is an excellent side dish to any meal. 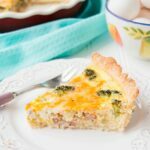 You can also cut the recipe in half for smaller portions or for an everyday side dish. 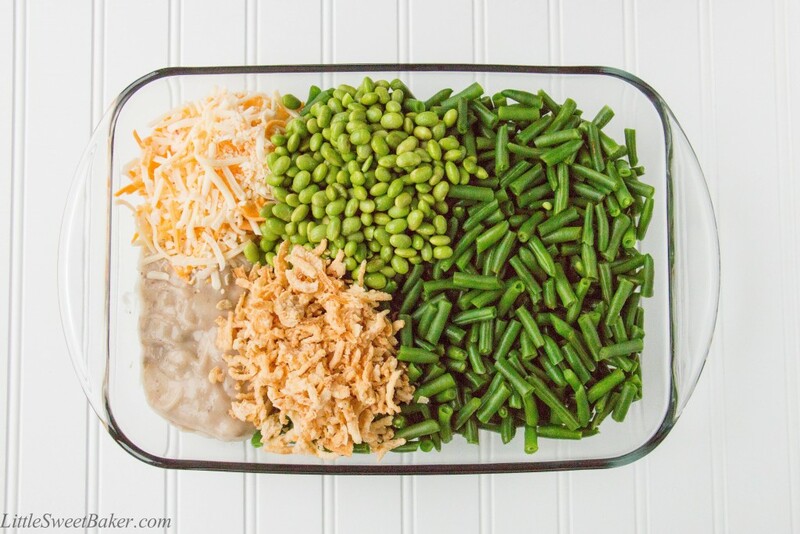 The addition of edamame beans adds a new twist to this classic dish. 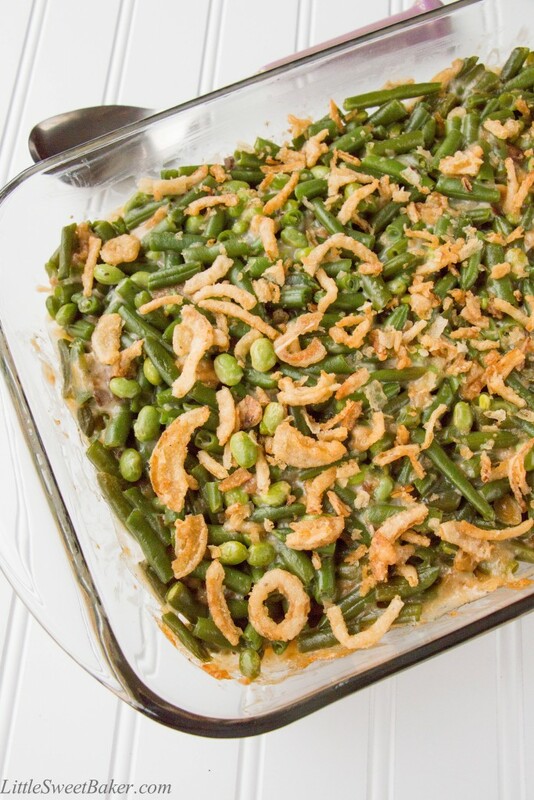 Mix all the ingredients (reserving 1/2 cup of fried onions) in a 9×13″ baking dish. Cover with foil and bake for 30-40 minutes or until the green beans are tender and everything is heated through. Sprinkle the rest of the fried onions on top and bake uncovered for another 5 minutes to crisp the onions. 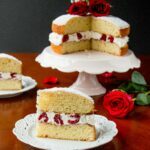 I baked this for dinner last night and my husband could not stop asking for more. Thank you! 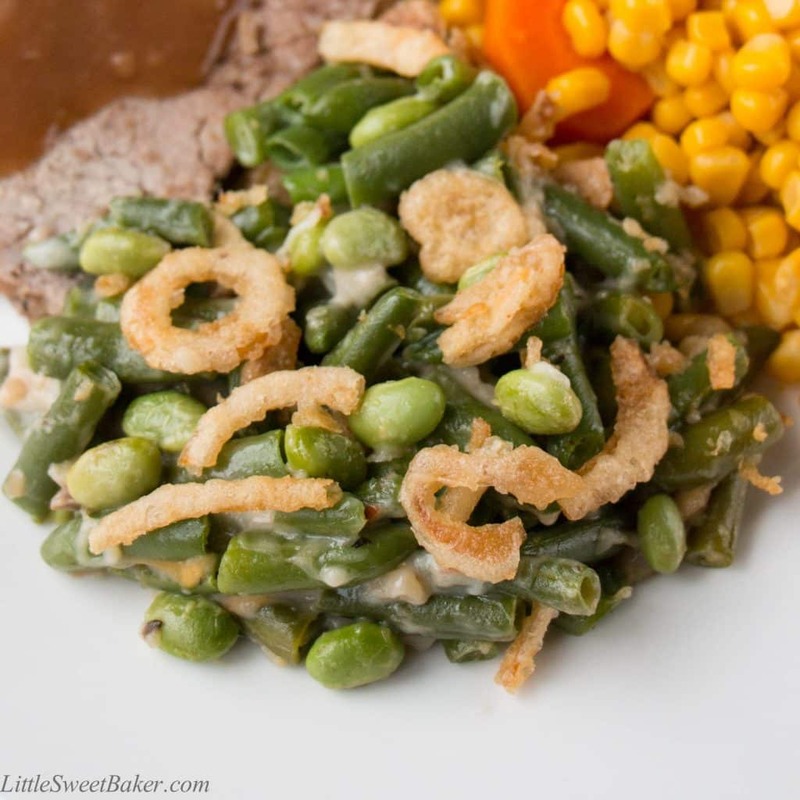 Your verison of the green bean casserole looks like a winner…I could eat it as my main dish for dinner! Lovely. Happy New Year! Thanks Linda and thank you for co-hosting. Have a happy New Year!